The Toronto Real Estate reported 4,260 sales through the TorontoMLS system during the first 14 days of April, representing a slight dip of less than one per cent compared to the same period in 2012. The reported sales figure did benefit from one extra working day compared to last year, because Good Friday in 2012 fell in April. “April sales to date, which were driven by strong growth in single-detached home sales in the regions surrounding Toronto, represent a positive start to the spring market. Because market conditions have remained tight, we continue to see average price growth well above the rate of inflation for many home types,” said Toronto Real Estate Board President Ann Hannah. The average selling price for April mid-month sales was $527,397 – up 4.3 per cent compared to $505,617 in 2012. Rates of average price growth were similar for the City of Toronto and the surrounding regions under the TREB market area. 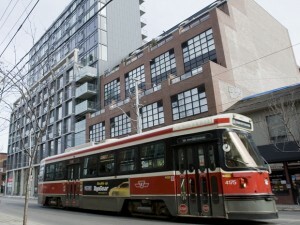 “The annual rate of price growth so far in April is actually above TREB’s forecast of 3.5 per cent for 2013. Strong growth in the average condo apartment price in the City of Toronto was a key driver in this regard,” said Jason Mercer, the Toronto Real Estate Board’s Senior Manager of Market Analysis.